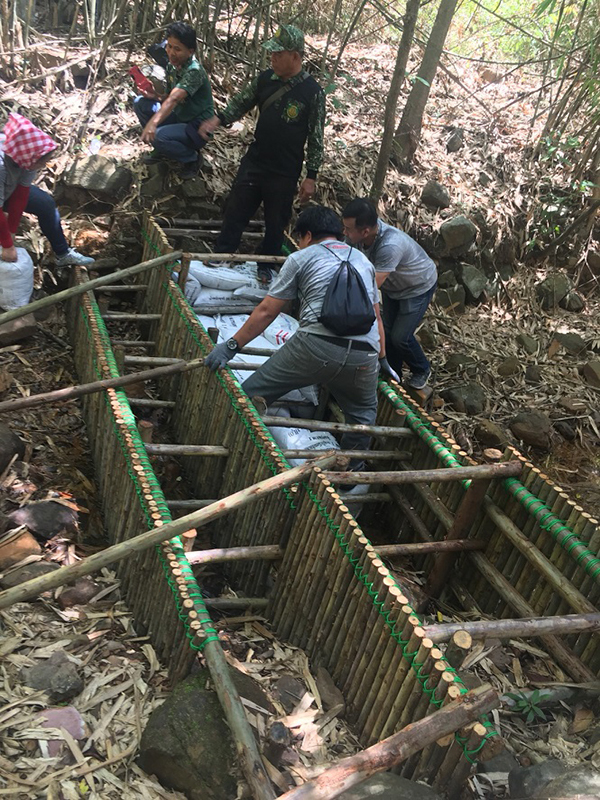 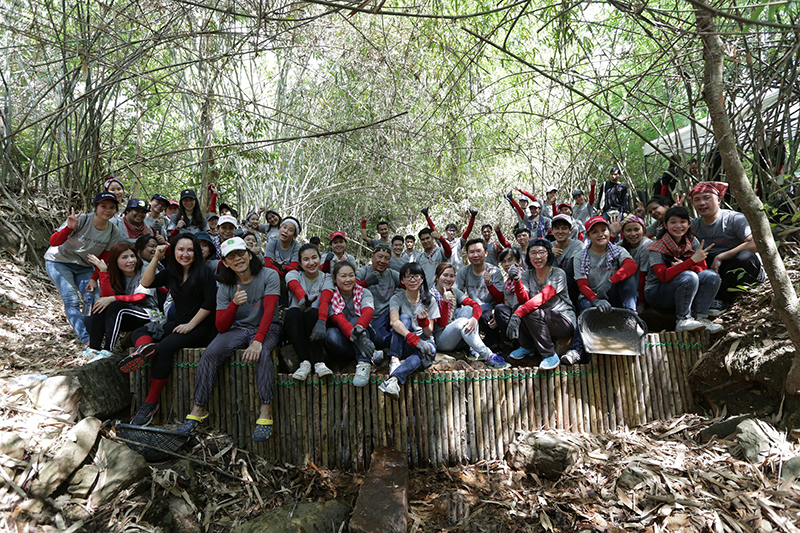 The executives of Canon Marketing (Thailand) and Material Automation (Thailand) along with 50 employees recently participated in the “Canon Volunteer 20: C-Spirit” activity to build a few check dams in Namtok Khao Ito Buddhism Forest Park in Prachinburi, using natural materials available on site. 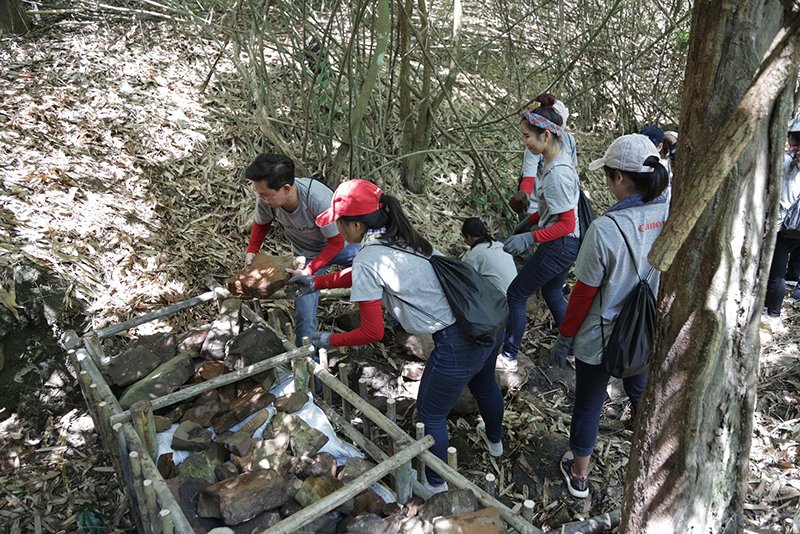 The dam is aimed at helping to slow the flow of forest stream and increase moistness for the surrounding area. 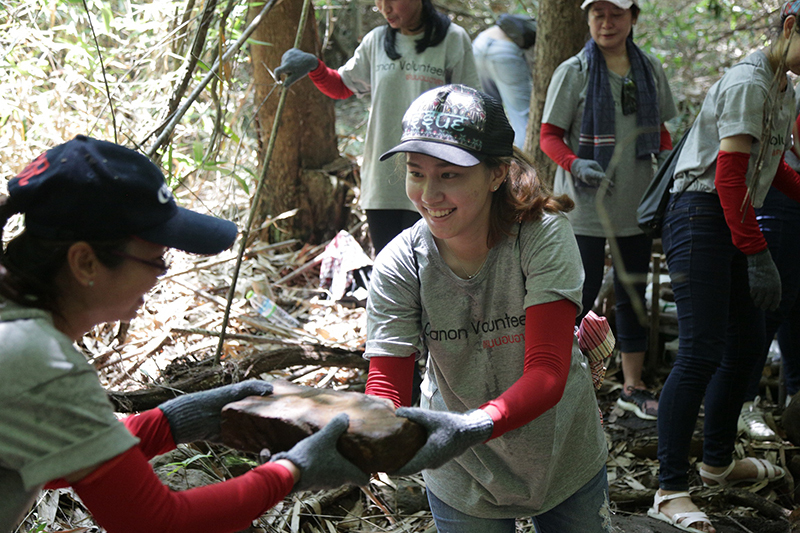 The participants also joined together to plant forest trees such as Siamese rosewood and iron wood. 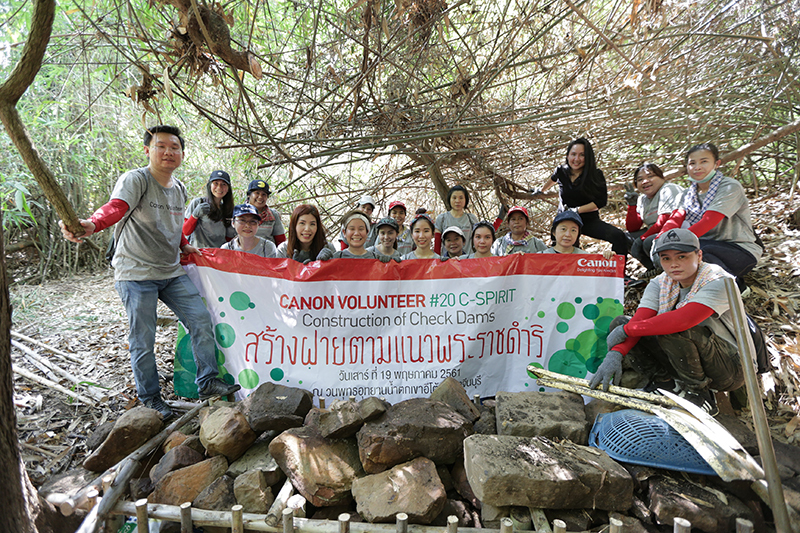 The Canon Volunteer activity has been held at least a few times a year since 2006, covering different areas such as educational development, environmental conservation, disaster relief and promotion of Thai culture and Buddhism.